Officials at the Office of Personnel Management said Monday that an executive order signed by President Trump last month that seeks to shorten the collective bargaining negotiation process and curb the influence of federal employee unions won’t impact existing workplace priorities like promoting telework. The executive order is controversial, but thus far is the only one of three issued last month that is not being challenged in federal court. It instructs agencies to place time limits on negotiations for ground rules and full collective bargaining agreements, and offers an avenue for agencies to quickly and unilaterally impose new agreements without union assent. That last provision brought into question what might happen to telework agreements under the new collective bargaining processes. Earlier this year, the Education Department argued that the American Federation of Government Employees had been stalling during ground rules negotiations for a new CBA and unilaterally implemented an edict that stripped workers of the ability to work remotely, along with a number of other benefits and protections. In March, OPM released the results of its first Federal Work-Life Survey, which found that employees who use telework were both more likely to want to stay at their current agency and that it led to increased performance. In the report, OPM encouraged agencies to find additional ways to “improve culture and organizational support for the expanded application” of work-life programs such as telework. AFGE has filed an unfair labor practice against the Education Department over its implementation of a CBA without the union’s consent, and some employees have followed suit at the Agriculture Department, where Secretary Sonny Perdue significantly reduced the number of days employees can work remotely. 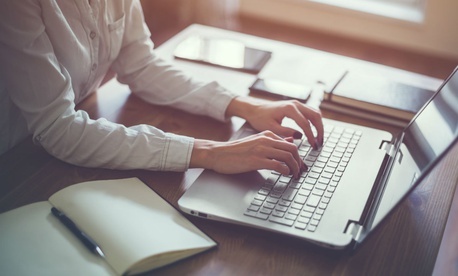 Although certain elements of telework policies are subject to CBA negotiations, every agency must have a telework policy for all workers, not just those in bargaining units. CBA provisions on telework often include procedures for approval or denial of telework requests, criteria for determining telework eligibility, telework schedules, procedures for supervisor-employee communications while on telework, and the types of agency equipment available to employees who telework. The OPM spokesperson said that although the recent executive order attempts to speed up collective bargaining negotiations and preserve agencies’ “managerial rights” during that process, agencies still should work to provide appropriate telework opportunities as laid out by OPM.